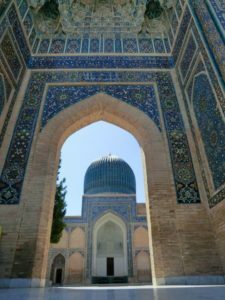 How wonderful riding a bicycle can be! 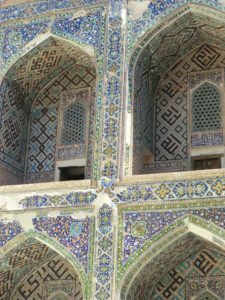 And what a change: from the high altitude Pamir mountains to the flat cotton fields in Uzbekistan. I never knew the stan’s would be that diverse and different! 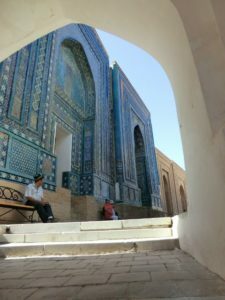 The Uzbek-people are really friendly, waving and inviting me for a small talk all the time! 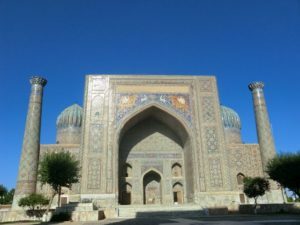 There were 5 cycling days through the country side, two rest days in Samarkand and one in Bukhara. 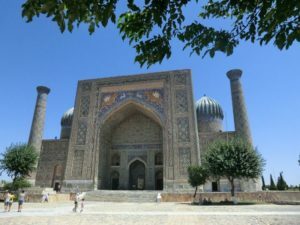 I noticed that now that we’re in Uzbekistan, I’m quite often one of the last ones to leave camp. I’m relaxed and not in a hurry and I enjoy the day as much as I can. There is no rush to get into camp early so I take my time and make a short stop every hour or so. 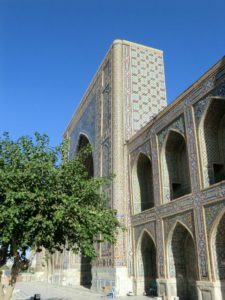 There is always something to see: a small village, people selling water melons or a bucket full of tomato’s, children playing along the road, a coca cola stop where traditional bread is made in a clay oven or just the view of a cotton field! 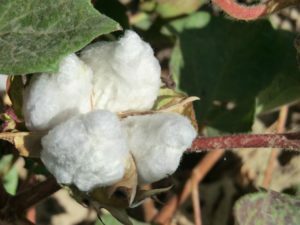 I have been wearing cotton all my life, seen some pictures of raw cotton in school but never in real. It felt like a big discovery when walking through a cotton field! Looking at the flowers, how they develop into a green hard bulb before they explode into cotton! There are fields after fields. And irrigation channel after irrigation channel! Which, by the way, are great channels for a swim to cool down! 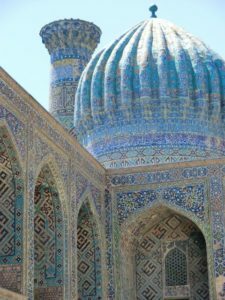 Samarkand is one of the oldest cities in the world, prospering from the Silk Road in ancient times. 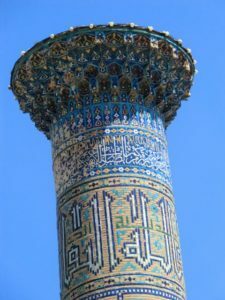 Between 1365 and 1405, Samarkand was the capital of Amir Temur’s empire, stretching from Turkey well into India and Iran. 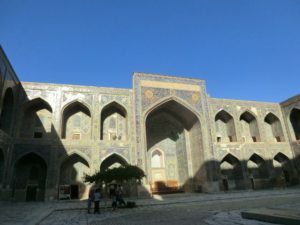 During his ruling he forced craftsmen (from all the places he had conquered) to build amazing and architectural innovative buildings: madrasahs (most famous is the Registan), mausoleums and mosques. 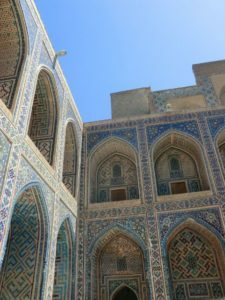 It’s hard to believe that Samarkand, nowadays in the middle of nowhere, was one of the largest cities in Central Asia; with what I’ve seen in China, I’m sure that’s not the case anymore. 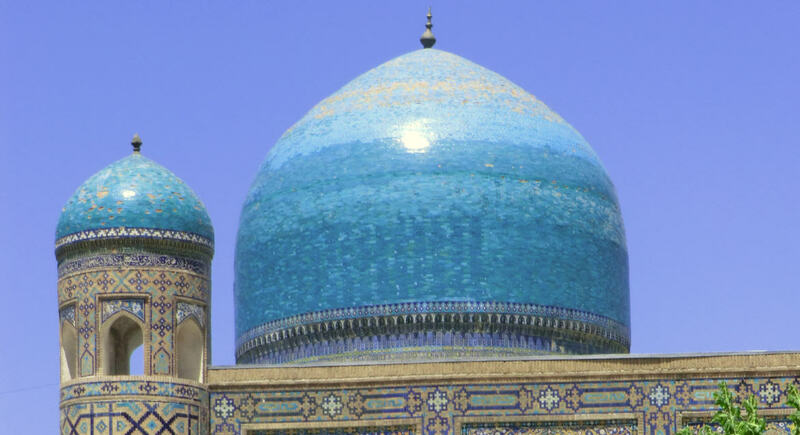 Tomorrow we’re off to Bukhara, a city with even more madrasahs. What a life!